Just about everyone has thought of writing a book at some point — even if you don’t consider yourself a “writer,” you probably have an inkling of a book somewhere in your head. But whether you’ve only just had your lightbulb moment or you’ve been mulling over a great idea for years, there’s no time like the present to learn how to write a book! Of course, there’s no one-size-fits-all formula here, since every writer has their own unique process. No doubt you’ll discover what works for you over the course of your authorial journey. That being said, there are still certain things you absolutely need to know if you ever want to cross the finish line! 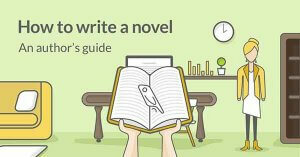 We’re excited to share our very best tips, tricks, and other info in this all-inclusive guide to how to write a book. Starting to write a book is always an intimidating prospect, especially if you’ve never done it before. But take it from us (and Stephen): it’s not nearly as hard as it seems. All you really need is a good idea and a solid structure to work from. We’ll help you develop those elements over the course of this first stage. First off, you’re going to ask yourself a few important questions. Who will want to read it? [The who] will read my book about [the what] because [the why]. Let’s break down the various elements of this equation and show you how to identify them in your own premise. If you’re writing fiction, the “who” will typically come down to genre — “romance readers,” “fantasy readers,” “sci-fi readers,” etc. You’ll also consider age, i.e. if it’s a children's, young adult, or new adult novel. If you're writing non-fiction, it’s all about utility. Who will find the information in your book most useful? The exception here is memoir, in which case your readers may just be looking for entertainment. But if you’re writing a guide, an informative tell-all, or even a history, your target audience will be people who want to learn from you. No matter your wheelhouse, it’s extremely helpful to come up with a proto-persona for the person who’ll be buying your book. This should represent your ideal customer and is key to reaching your target audience. Coming up with a hypothetical reader makes it much easier to specifically write to them, which will make them more inclined to buy your book. As for the “what,” right now this is just the seed of your book. It’s the beginning of something, and before it can sprout into something more, you have to nail down the essence of what you want to say. This often coincides with the eventual theme of your book — but don’t worry too much about that right now. Instead, just figure out how you would describe your topic to someone in a single sentence. If someone were to ask you right now, “Oh, what are you writing about?” then this would be your perfect answer. Whether it’s an adventurous mouse’s tale (tail?) or a vegan cookbook, your “what” will become the crux of your book. On the off chance that you’re reading this guide and don’t yet have a “what” — you just know that you want to write a book — consider checking out some writing prompts to inspire you! So why is this particular book the one you should write? And, just as importantly, why are you the one who should write it? What makes you qualified, and what makes you passionate about this particular subject? You need to determine a) why this book will matter to other people, and b) why you are the right person to address this topic. Your final result will be the essential thesis from which you work throughout this process. Once you have this prepared, you can move onto the next step: outlining. Remember that structure we mentioned before? Well, now it’s time to get it down on paper! 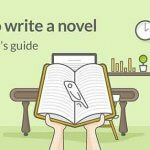 Creating an outline is one of the most important parts of writing a book — in addition to your “three Ws” thesis, your outline forms a huge part of the foundation on which you will build your book. Even if you’ve never worked from an outline before, or don’t think you need one, there’s no harm in cobbling one together. Also, don’t make the mistake of thinking every book outline has to look exactly the same. There are a few different methods you can use to outline your book, which we’ve “outlined” here. Feel free to experiment with them and go with whichever works best for you. When people think “outline,” this is most likely the format they envision: a multi-part summary with the structure broken down into intro, body, and conclusion. It’s how most people outline essays for school, and is particularly useful for non-fiction. However, if you’re writing a fiction book, you can simply outline it in terms of beginning, middle, and end instead. Intro — Introduce your central figures and topic/plot, along with first hint of major themes. That’s right: even if you’re writing nonifiction, your book should still have themes that tie everything together! For example, in Moneyball, author Michael Lewis examined themes of inequality, capitalism, and innovation against the backdrop of major league baseball. Body #1 — First main point of interest (+ possible conflict). If you’re writing fiction, this will be your first plot point; if non-fiction, it will be an opening event or idea. For example, if you’re writing a biography, it might make sense to begin with that person’s birth and childhood. Body #2 — Second main point of interest, which develops the story or topic in an intuitive way. This may be a single storyline presented chronologically, or it may intersperse certain events with flashbacks or analysis. You should also think about how your themes will come into play as your book expands. Body #3 — Third main point of interest, leading into the resolution. If you have any unresolved questions or themes, now’s the time to start wrapping them up. Ending/conclusion — Finishes off the book in a satisfying manner. You don’t necessarily have to know exactly how your book will end, but try to jot down a couple of ideas. Keep in mind that this is a very compact version of the outline you’ll end up with. If you’re writing a full book, you should have a “body” point for each chapter/section. However, this template has hopefully given you a general idea of the “beat sheet” format and what to think about as you’re constructing it. We’re going to call this one the corkboard method, but you can always just use Post-Its. Basically, it involves writing down all the main components of your book on different cards, and arranging them on a corkboard in the order you’d like to present them in your book. The difference between this and the beat sheet method is that it gives you more flexibility, if you haven’t given much thought to structure yet. You can simply write down what you have so far, and arrange it as you go. It’s also ideal for writers who tend to rearrange things quite a bit over the course of writing; if you find that your structure changes a lot as you work, the corkboard method could be perfect for you. Additionally, it can facilitate more creativity than the beat sheet method! The freedom to easily move different plot points around can really help your process. The mind map is an approach for visual thinkers. It’s great if you prefer not to think about structure, but still need to get your thoughts down. So if the idea of a fixed chapter outline feels restrictive, this is the method for you! Draw a large circle on a piece of paper and write your main idea inside it. Around the large circle, draw a series of smaller circles with supporting ideas that connect to the main one. Next, draw and connect smaller circles around your second series, and put related ideas in those as well. Continue adding circles and ideas until you’ve written down everything you have. This a simple but effective method of defining your ideas; even just looking over a completed mind map can clarify what your book will eventually look like. Alternately, if you like the general concept of the mind map but feel like you need a bit more structure with it, you can also try the Snowflake Method. 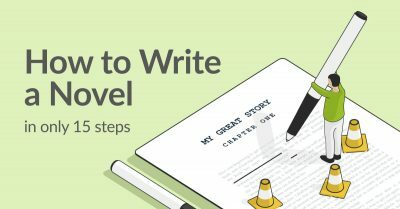 Though you certainly can jump ahead to the next section if you feel ready, we recommend fleshing out your outline a little more before you start writing. Having a detailed outline is especially important if you’re a first-time author, or if you’re writing non-fiction and want to make sure you don’t leave out any critical information. This is the first step of expanding any non-fiction outline, particularly if you don’t know much about your topic. Indeed, you can write an outline and even a proposal without researching thoroughly, but you absolutely can’t start writing without doing some research first! As for fiction, it can still be helpful to research where your book is set or the subject matter it involves, especially if you’re writing historical fiction. However, if you’re purely “writing what you know” (as the saying goes), or if you’ve already conducted sufficient research, skip to the next subsection about incorporating themes. Research comes in many shapes and sizes, and depends on the type of book you are writing. Here are a few different types of research that are suitable for different genres, though you can always mix and match these according to what your subject matter requires. If you’re writing a memoir, you might start by interviewing yourself. Though you may think you already know yourself pretty well, you’d be surprised at the blind spots that can be revealed through a simple interview. You can always have someone else interview you too! If you’re writing a how-to, your research might involve testing out your own instructions, or collecting lots of existing material on the subject — such as blog posts and previously published essays. If you’re writing self-help, you might want to reach out to experts on the topic, such as psychologists and motivational speakers. Or if you're already an expert on this particular topic, you can interview yourself as you would for a memoir! If you’re writing a history or biography, you’ll likely spend lots of time in libraries and archives — unless you’re writing about someone who’s still alive, or something that’s just recently happened, in which case you’ll likely gather the information yourself. No matter what kind of book you’re writing, it should have at least one uniting theme, and probably more. Even if you’re just writing instructions, some kind of theme-inclusive narrative can help make your book much more compelling! For example, Chrissy Teigen’s bestselling cookbook Cravings includes personal stories along with her recipes, all about how she came up with them and why she loves them. The theme of these humorous anecdotes is how food is a huge part of her life, and how getting a recipe exactly right can spark immense joy (as another very popular instructional author would say). Here are a few questions you can ask yourself to get a handle on your theme(s), regardless of what your book is about. How does my narrative reflect the human condition? What (if any) social or political commentary do I want to make? What do I want my readers’ takeaways to be? It can be difficult to think about themes before you’ve actually written the book, since you can’t be sure how it will turn out. But just ruminating on these questions will be extremely helpful for when you do start writing! That way, when you get stuck, you won’t just have your outline to keep you on track; you’ll also have purposeful themes to motivate you. 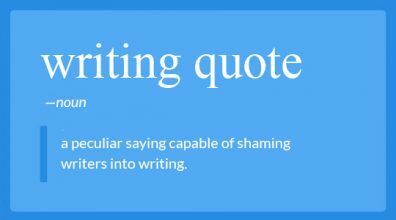 Again, this is relevant whether you’re writing fiction or non-fiction. While it’s true that most people think of “characters” as people you invent for a story, the term can apply to all figures who crop up in a book. After all, Alexander Hamilton by Ron Chernow is a non-fiction biography — but what kind of narrative would it be without Washington and Jefferson? They’re essential characters in that story! The only difference is that in non-fiction, you can’t embellish them like you would in fiction. So if your book includes characters of any kind, whether they’re real or not, consider putting them in a roster. The following template will help you keep track of important character details and traits you want to include in your book. All the previous strategies should help you solidify your premise and expand your initial outline into a detailed almost-book. But now we’ve done as much prep as we can possibly do. Which means it’s time to get down to the nitty-gritty: the actual writing process. Let’s get into goals, routines, and what you should focus on during your first draft. When you start writing a book, you need to have concrete goals in place to make sure you follow through. Here’s how to think about those goals, and how to set writing objectives you’ll actually be able to meet. Most authors primarily think about their writing progress in terms of word count. They set goals for how many words to write per day, per week, and per month, so they’ll know if they’re keeping up a reasonable rate of progress. Finally, remember that your word count goals will also depend on your genre. If you’re writing a massive textbook or super in-depth history, you should probably raise your WC goal a bit higher than this. But 1,500/week is a solid rate to start with, especially if you’ve never attempted to write a book before. Besides word count, it’s important to set goals for your writing time as well. At least 1,500 words a week is a healthy rate, but how many hours a day should you actually be writing? Again, only you can decide what’s right for your schedule, but here are some general guidelines. Consider both a) when you have the most free time, and b) when you have at least a little bit of free time. The trick is this: don’t devote every single day off to writing. You need some downtime just to yourself — especially as a first-time writer — otherwise you’ll burn out! So say you work a full-time, Monday-to-Friday job. You have two full days off a week, and a little bit of time after work every day. The optimal blocking for your time is to spend just one of your full days off writing (5-6 hours), in addition to a couple hours here and there during the week. This way, you can take the second full day off to decompress and not feel overwhelmed by your writing goals. Indeed, contrary to popular advice, you don’t really have to write every single day in order to finish a book. The important thing is that you designate a schedule and keep it up. We’ll delve into various strategies for “keeping it up” in this next step. Establishing a writing routine is vital to actually completing your manuscript. That’s why, having set your goals, you now need to figure out how to stick to them. Luckily, we have quite a few routine-maintaining tips for you — which is why we thought we’d give “routine” its own section. Here are the best actions you can take (or avoid!) in order to establish and stick to a writing routine. Once you’ve determined your “best writing days” and how to budget your time, this is the decree that will lead you to victory: never skip two writing sessions in a row. Countless writing experts champion the “two sessions” rule as the key to writing success. Here’s why: skipping one writing session — whether because you’ve had a super-busy day or you just can’t summon the energy — doesn’t mean you’ve fallen off the wagon. One missed day is a fluke, an anomaly that can easily be compensated for over your next few sessions. But once you skip two sessions in a row, you’re setting a new routine of NOT writing. And not only that, you’re getting farther behind on your word count goals. You start to feel like you’ll never catch up… and the pressure often leads you to quit altogether. So don't let yourself miss two consecutive sessions. Believe us, you’ll be glad you persevered. Of course, no man is an island, so you’re going to need someone to hold you accountable throughout the writing process. Ideally, this will be another writer who understands what you’re going through, and who may even be working on a project themselves — this way you can swap encouragement, tips, and stern lectures when needed. If you don’t know any other writers in real life, you can always join an online writing community! The advice and support in the forums of these websites can be an absolute lifesaver when you’re feeling discouraged. It’s also hugely helpful to tell other people what you’re working on. Though it’s natural to want to remain close-lipped about your book until it’s finished, letting your friends and family know will give you an additional incentive to write. Plus, you should be able to talk to them throughout this challenging process! Being open about your book not only keeps you accountable, but also alleviates the stress of writing by allowing you to discuss it with other people. Another awesome way to stay motivated is to track your progress in a tangible way. Remember those chocolate advent calendars from when you were a kid (or maybe just last December)? This strategy is sort of like that… but instead of making it easier to wait for Christmas, it’ll make it easier to persist with your writing. What do we mean by “tangible”? Well, instead of just entering data in a spreadsheet of “words written per day,” you might actually print out the pages you’ve finished as you complete them. As you write, your manuscript pile will grow — plus it’ll be all ready for proofing at the end! We’ll just tell you right now that you are going to miss writing days. You are going to spend some sessions just staring at a Word document, with no idea what to write next. You may pick up another person’s book and worry that your writing will never compare to theirs. We’ll also tell you right now: all of that is okay. Writing is, by nature, an imperfect process. No matter how steady your routine is, you’re going to falter, especially at first (if we haven’t already emphasized that enough). Don’t be too hard on yourself, because you’re doing your best, and the fact that you’re still trying means that you are on the road to success — even if you can’t yet see it on the horizon. 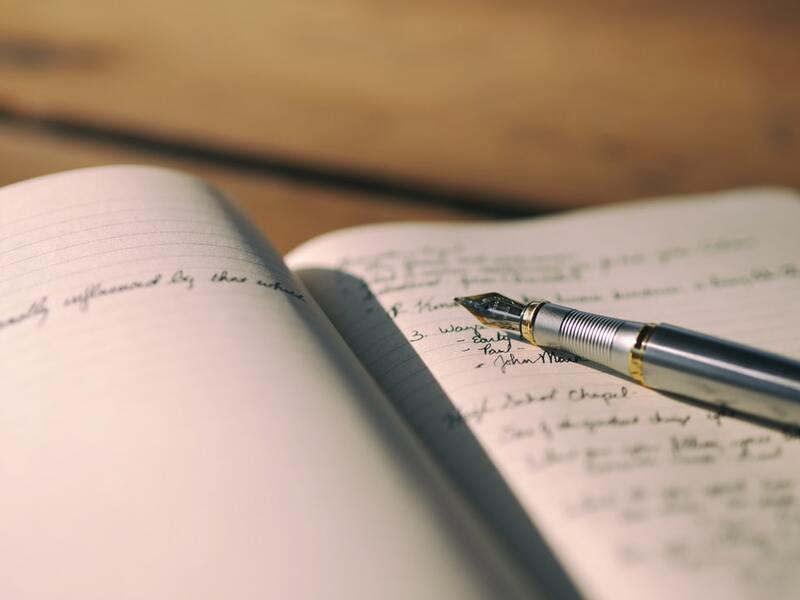 For more detailed tips on how to create a writing routine, check out this Reedsy Live webinar from author, ghostwriter, and writing coach Kevin T. Johns. Once you’ve gotten in the groove of writing with your goals and routine, you can think more about what your writing sounds like. Here are some more creative tips to really help your writing flourish. So how can you develop your writing voice? There are a couple of exercises you might try: Pereira suggests journaling, and a “retelling” exercise which involves rewriting nursery rhymes in the voice of a famous author, such as F. Scott Fitzgerald or Virginia Woolf. This will help you get a sense of what voice is, since it’s a pretty slippery concept — plus, the natural tension that arises between your own voice and that author’s voice should tell you about how you want your prose to sound. Of course, having a fictional narrator with a voice distinct from yours can pose a bit of a challenge. In this case, put yourself in that character’s shoes when doing voice exercises. It can also be helpful to refer back to your character profiles from Step 3: thinking about a character’s personality and most important traits should help you nail down their voice. Don’t think you can get away with no voice just because you’re writing non-fiction! Indeed, some of the best memoirs, biographies, and even histories have extremely distinctive voices. A few that come to mind are I’ll Be Gone in the Dark by Michelle McNamara (true crime), The Library Book by Susan Orlean (biography), and The Immortal Life of Henrietta Lacks by Rebecca Skloot (biography/history/memoir). If your book is non-fiction and you’re not sure how to properly execute voice, consider reading any of these as a case study. Like voice, narrative arcs are for everyone, not just fiction writers! Every good book (that isn’t a cookbook or reference guide) contains conflict, tension, drama, and resolution — a collection of elements most aptly described as a narrative arc. What are the most interesting events and elements of my narrative? How will my ending wrap everything up? It’s also true that, no matter how extensively you outline, there’s no telling what your final arc will look like until you’ve actually written it. You may find yourself expanding elements you thought would be minor; skipping over others that you thought would be integral. If this is the case, don’t worry too much about deviating from your original outline — trust your gut and know that you can always edit later. Finally, and perhaps the most important piece of advice we can give you: remember to always put the reader first. This is especially difficult (say it with us!) as a first-time author. For one thing, you’ll want to demonstrate your stylistic prowess, and for another, you don’t have the best idea of how to implement structure yet. This combination means that your main ideas can easily end up muddled, lost among the sands of purple prose. So try to constantly, consciously think about the reader over yourself. Keep the language accessible and the pacing fairly quick, the way most readers want in a book. You might feel compelled to write long, drawn-out metaphors and internal monologues to be more “literary” — but when was the last time you read a book just because it was literary? The story should always take precedence, because that’s what the reader cares about. As we’ve said, you’re not going to get it all right on the first try. In fact, it’s perfectly fine to get it all wrong! The important thing is that, if something isn’t working, you adjust as necessary to make it work. 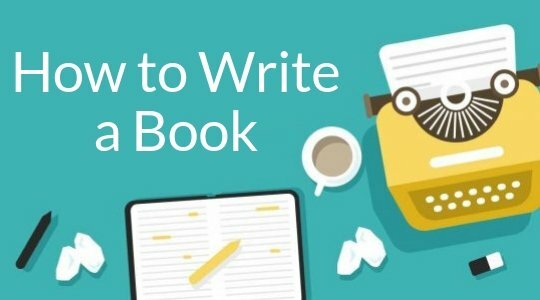 Here are a few common problems that you might address in the course of writing a book, and suggestions for how to fix them. Ah, procrastination. The bane of every writer’s existence — and yet also something we seem inexorably drawn to, like distraction-seeking missiles. Writers vary in their advice on what to do about procrastination. Some say you should let it happen, which is fine… until it takes over your life. Others suggest trying to “schedule it in,” which is a well-intentioned thought, but also seems to miss the point of what procrastination actually is. Our advice is to grant yourself some leniency, but not too much (see the “never skip two sessions in a row” rule above). Procrastination is relatively harmless as long as you eventually get back to the task at hand. But if you find yourself procrastinating on every single writing session, you might need to switch things up. As you might expect, one of the most effective means of curbing procrastination is cutting yourself off from the Internet. Log out of your accounts, turn off your WiFi, even block websites if it comes to that (Freedom is a good website/app blocker you can use). It requires a lot of willpower to actually enact, but once you’re cut off, the work should flow much more easily. If cutting out Internet doesn’t work, perhaps alter your physical surroundings as well. If you always work from home, try a coffee shop or library instead. Invest in a pair of noise-cancelling headphones if you need to. Maybe write alongside your accountability buddy, so they can keep you on track. Again: do whatever you can to make it work. The other grand torment of writing is the demon of high expectations. Now, it’s great to aim high because you want to give your readers only the best. But as many of us writers know, perfectionism can be pretty paralyzing. To actually complete a draft of your book, you need to let go of those high expectations, and just do the best you can. Many of your high expectations probably stem from reading critically acclaimed, bestselling books — which, of course, is a perfect recipe for disappointing yourself. Your first book is not going to be your magnum opus, nor should it be; you have plenty of time to get there in your writing career! So do yourself a favor, and don’t compare your writing to literary giants, because it’s not fair to you or your work. Put away your red pen and build a glass case around your “delete” key. You don’t need every single word, phrase, and sentence to be well-constructed; you just need to get them down on the page. Trust us, you’ll have plenty of time to nitpick later. Unrealistic expectations can also come from what people often think of as the “writing mindset”: feeling an ever-present swell of creativity and inspiration, and always being able to extract value from the world around you. Yes, some days will feel like this, but certainly not every day. Don’t feel like you’ve failed as a writer just because you’re not feeling inspired to write. Indeed, being able to stick to a routine when you’re not in an artistic mindset is the hallmark of a TRUE writer. All right: in theory, the hard part’s over now. But the process of refining and deciding what to do with your book isn’t exactly a walk in the park. 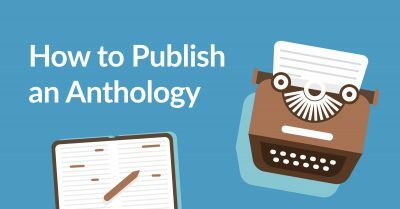 So now, we’re going to take you through what you need to edit your book, rewrite as necessary, and eventually publish it (if that’s the path you choose). Come on, final push — let’s go! Once you’ve finally committed all your great ideas to paper and you have some semblance of a manuscript, you’re ready to turn that first draft into… well, a second draft. And then probably a third draft, and maybe even a fourth and fifth. The vast majority of manuscripts need to go through several iterations before they reach their final form. So don’t hold back: it’s time for some ruthless editing. And whether you do it yourself, ask a friend, or hire a professional, it’s important to know exactly what needs fixing. Here are our best tips re: the editing process. If you want to bore your readers, all you need to do is fill your book with sticky sentences. A sticky sentence is one that contains over 45% glue words — and glue words are the 200+ most common words in the English language. As you can see, the same image becomes clearer and more succinct in the second version. So make sure you cut out those glue words! This is one of the simplest but most effective measures you can take to improve your pacing — a critical part of putting the reader first, as you might recall. On a related note, you should also comb through your manuscript for intensifiers that feel flashy or insincere, such as “very” and “really.” Believe it or not, the ideas and descriptions in your book will sound more convincing without them! So don’t tell readers that about how something is “very sad” or “really colorful”; show them instead. When you’re drafting your first book ever, it’s easy to accidentally include inconsistencies, whether about something as minor as a character’s eye color or as major as an unfilled plot hole. Naturally, one of the main objectives of editing is to rid your manuscript of these. It’s pretty hard to do when you’ve only just finished writing, however. You’ll be so familiar with the subject/story that gaps in logic will automatically bridge themselves in your mind — plus, you’re probably feeling a bit “precious” about your writing, and may not want to admit to any mistakes (especially if they’ll take a lot of work to fix). Hence why it’s important to wait before you edit: a useful practice for any mode of editing, but especially when scanning for inconsistencies. You should try to wait a week at minimum, ideally more, before taking a close, honest look at your manuscript for possible plot holes and overall cohesion. If you don’t want to wait, or if you don’t trust your own judgment, you can get someone else to look over your manuscript with fresh eyes! Friends and family are a great resource, but consider looking for beta readers, or hiring one of those pro editors we mentioned. Just remember: you don’t have to like what they tell you, but you should listen to them about anything that confused or concerned them. They’re an objective party, so just try and override your writer’s resistance to criticism re: their feedback. These days we’re all apparently expected to multitask flawlessly, but take it from us: do not multitask your editing. If you’re doing it yourself, it’s best to break editing tasks down into a list and complete each item separately. For example, your first task might be to look for glue words and extraneous adverbs, your second task might be to break up run-on sentences, your third task might be to look for inconsistencies, and so on and so forth. Doing all these at once will surely lead to oversight — and exhaustion — so just take them on one at a time. Edits all done? That means you’re ready for rewrites: the part where you actually transform your first draft into the second. It’s a magical process, even if does require a good deal of work. The following are some things to think about as you take this penultimate step of writing a book. Like reducing glue words, nailing the hook is another simple but pivotal fix you can make to your manuscript. That’s because both editors and readers are prone to quick judgements. If they positively judge your book by its cover and make it to the first page, the opening lines are the next test — and failure to pass could mean they give up on it entirely. Through the use of strong statements or interesting anecdotes, each of these hooks creates intrigue right away. But that doesn’t mean you should go for clickbaity, flashy, second hand-car-salesman exclamations here. Rather, consider the aspects of your book that will naturally pique human interest, and lead with that. 1. Examine character dynamics. One of the most obvious indicators of inconsistent characterization is character dynamics — think of them as the canary in the coal mine. If character dynamics seem unnatural, there’s probably something else wrong… probably because you haven’t made your characters well-rounded enough to sustain themselves. As a result, this is one of those fixes that will probably take some time. But if you sense something wrong with your character dynamics, don’t be afraid to take a deeper dive into overall characterization. 2. Eliminate subplots. Luckily, this one's a bit less labor-intensive. Sometimes to root out confusing inconsistencies, you need to delete subplots or side stories that contradict either the main narrative, or your characters’ personalities and motivations. You may also have a subplot or secondary story that you love, but that doesn’t really go anywhere. We know that cutting it out will be hard; just bite the bullet and do it. 3. Explore different endings. The ending is often where spotty characterization rears its ugly head. For instance, a character who hates another character throughout the book does a 180 and falls in love with them (how many poorly plotted romances fall victim to this?). Or maybe a character who was seemingly making progress reverts to their previous, terrible self (we’ll call this the Andy Bernard phenomenon, one that any devoted fan of The Office will recognize). So don’t just leave a bad ending in place if it contradicts what would realistically happen. Again, it might be a lot of work to change, but your readers will thank you for “keeping it real” (as the kids say). Unlike rewriting your hook/intro, reworking your conclusion may involve going back throughout your book to insert other bits and pieces as well. For example, you might realize that you haven’t incorporated a certain theme enough for it to resonate in the conclusion. This means you have to retroactively work it into previous chapters. Again, don’t be afraid of the workload: embrace it as the thing that will make your book the best that it can be. Our heartiest congratulations to you — you’ve written a book! 👏 Your journey’s not quite over, though: now you get to decide what to do with it. Though we’ve titled this step “get it published,” that’s not necessarily what you have to do next. Maybe you’ve written a book just to prove you that you could. But even so, it’s good to have the necessary information, in case you do eventually decide to pursue that route. 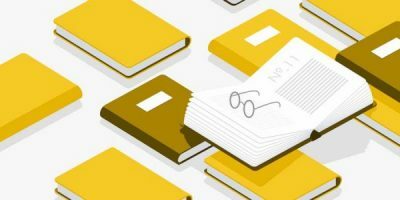 Here’s a selection of our best resources on both traditional publishing and self-publishing, in the order that you’d most likely have to use them. 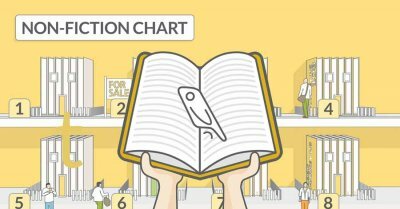 Want to lock in a publisher before you start your non-fiction book? Before you go, we can’t forget our last tip: once you’re finished, reach out to us with your top tips so we can add them to this post, and help other aspiring authors reach their goals. Or if you have some already, leave them in the comments below!